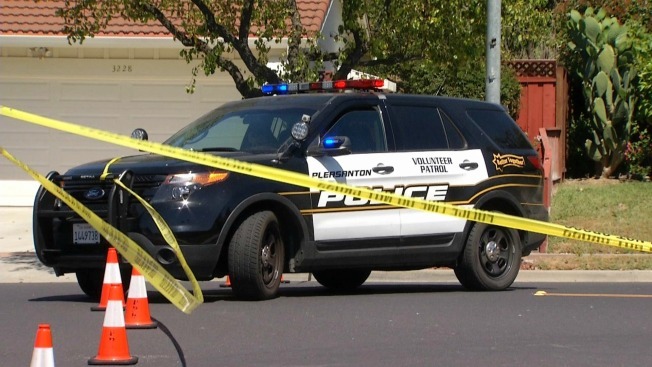 A man who advanced toward Pleasanton officers Saturday with a gun in his hand was shot and killed by police, according to the Pleasanton Police Department. Officers responded to a disturbance call at a house along Burgundy Drive just after 11:30 a.m. when they spotted the man, according to Lt. Maria Munayer. The garage door opened and the man walked out holding a gun pointed at the officers. One officer responded by shooting the man, who was pronounced dead at the scene. It is not clear if the man fired at police, but none of the responding officers were injured, according to Munayer. The people inside the house were also not injured during the shooting, which comes as a surprise to police. "This is very unusual for this neighborhood," Munayer said. Specific details regarding what led up to the shooting and the man are not yet available at this time, according to Munayer. A parallel investigation is in the works by Pleasanton police and the Alameda County District Attorney's Office. The officer who shot the man has been placed on routine administrative leave, according to Munayer. Despite the shooting, Munayer insisted that this was an isolated incident. "Pleasanton is a very safe community," she said. "We're not concerned about any other violence stemming from this incident or any other incidents.